Hello, hello & how are you all doing besides wet and cold? 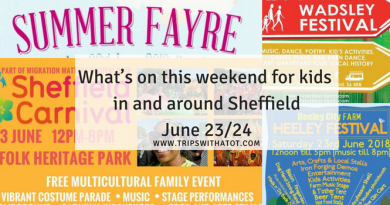 Just kidding, :P. Welcome to this weeks roundup: What’s on this weekend in and around Sheffield for kids December 8/9, a guide full of top picks for family friendly events in and around Sheffield, South Yorkshire, plus day out ideas, festive activities and lots more. These are published every Wednesday and please subscribe so you don’t miss them. Weather check for this weekend: it keeps changing every time I check so we may just have to wait and see! But it’s looking to be dry at least and Sunday may even be sunny. 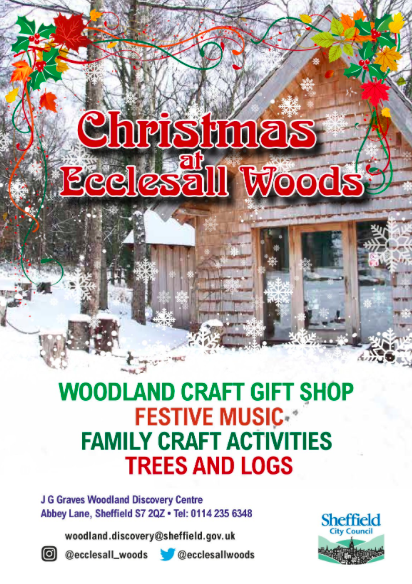 Christmas in Ecclesall Woods looks beautiful and perfect for a sunny weekend in December. Woodland coffee stop is open 10-4 with hot drinks, cakes, treats and more. Watch Peter Pan this weekend at The Lyceum. Tickets still available for both afternoon & evening shows, friday-sunday. Pay to get in but then everything is included at Winter Funland in Manchester. Largest indoor winter wonderland in the UK at EventCity. Ice rink, entertainment, shows, 40 rides and lots more. 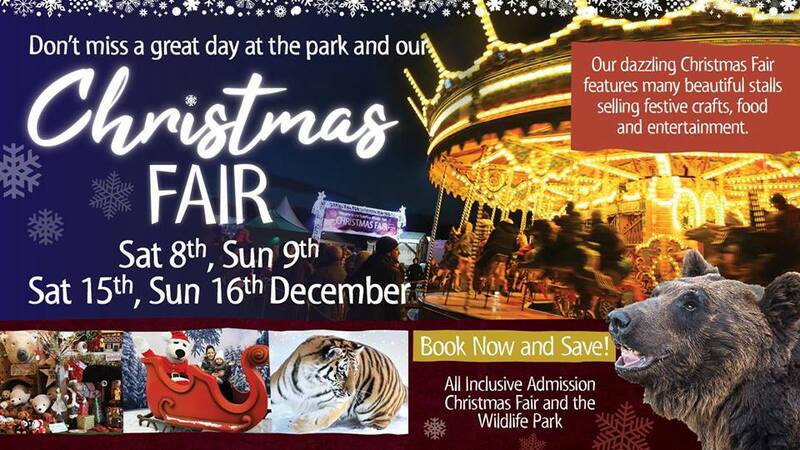 YWP Christmas Fair 2018 at Yorkshire Wildlife Park, 8th-9th December, stalls, food, entertainment and lots of Christmas festivities! entry to wildlife park included. Enjoy a Victorian Christmas at Cusworth Hall, on all weekend. 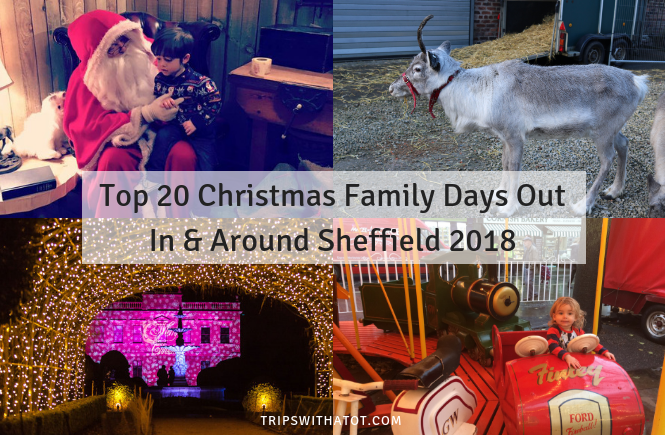 Meet Santa and receive a special Victorian-themed gift, dress up in Victorian costume, browse some festive stalls and enjoy crafts and a Christmas story by candlelight. Call 01302 782342 to book. 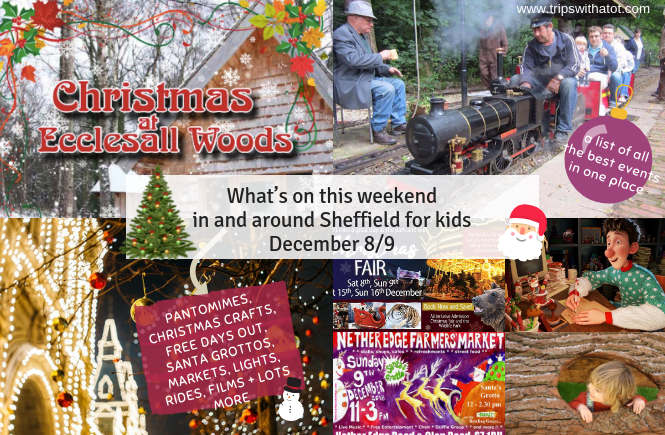 Sheffield Christmas Trail & Santa’s Post Office free all weekend. 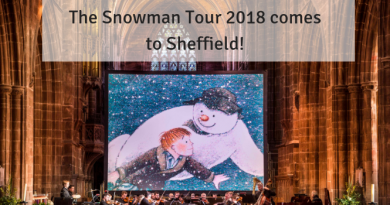 Around The World At Christmas Time concert with Sheffield Philharmonic Orchestra, Saturday 3pm. Victoria Hall city centre. Want to see something but not quite sure about a panto? IceSheffield have an ice show this weekend that looks really pretty. “Wishing on a star“… “Our 15th annual Christmas show will feature over 100 skaters from our Learn to Skate programme through to National Champions’. Shows all weekend at various times. High Storrs School Christmas Fayre, Saturday 11-4pm. Fabulously festive fayre will feature Dodworth Colliery Brass Band, Santa’s Grotto, 60+ stalls, luxury raffle, games & activities for children, food & drink and much more. 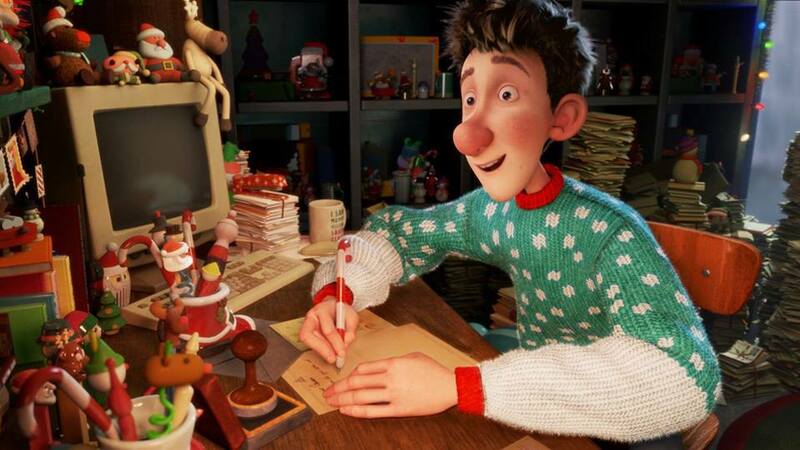 Arthur Christmas is showing at Showroom Cinema for Kids-mas, Saturday at 1pm. Includes a free drop in kids craft session. £4 for kids and £4 for adults. Christmas Science Fun at Barrow Hill Roundhouse in Chesterfield, Saturday, 10am-4pm. Crafting, carols, a Christmas show and more. Goldilocks And The Three Bears – The Lamproom Pantomime in Barnsley, Saturday at 1pm. 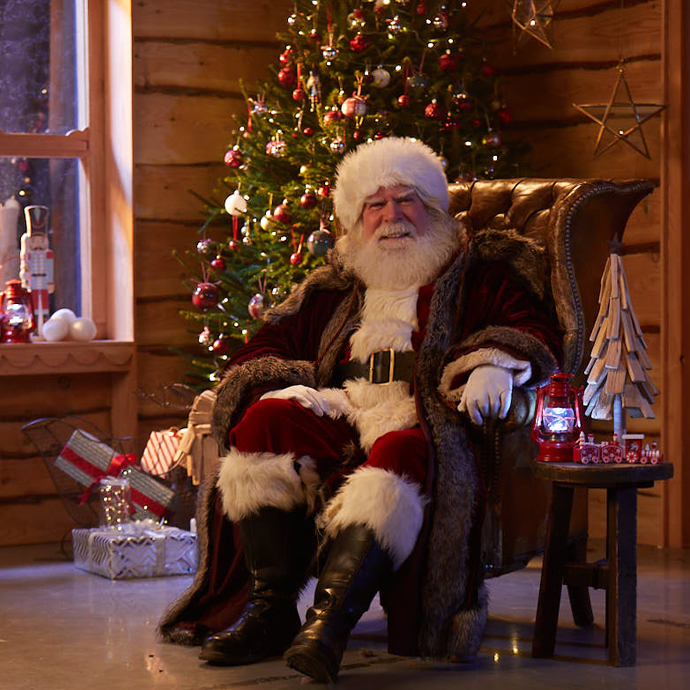 Meet and Greet with Father Christmas at Cannon Hall Museum, Saturday & Sunday at 11am… “Sit down one on one to discuss your wish list for Christmas Day and receive an extra special gift from the magical man himself.” Limited walk up tickets available, queues to be expected. 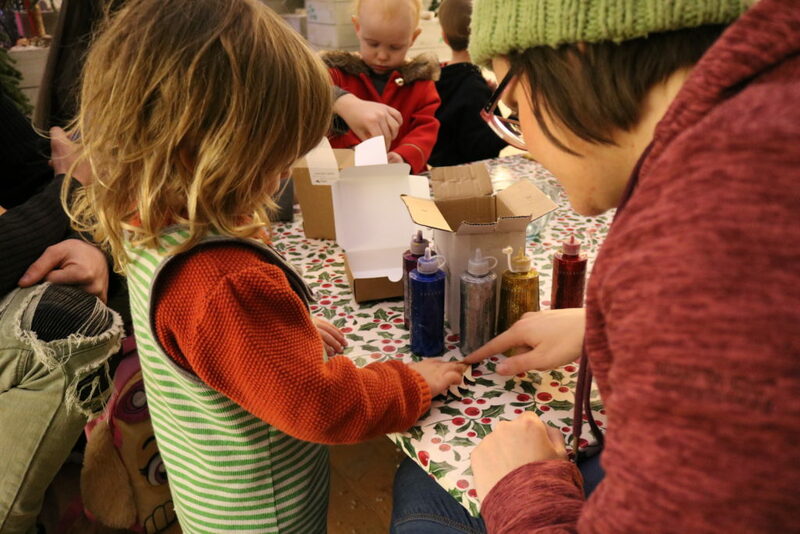 Little ones welcome at Festive Soap & Bath Bomb Making! Plastic Free Workshop! on Saturday. Learn how to colour, fragrance and texture your very own festive soaps or bath bombs to take home at Sheffield Soap Loaf Company. Refreshments and snacks provided. £5 per crafter. Pantomime returns to Chesterfield with everybody’s favourite Christmas tale, the timeless, Cinderella. Showings all weekend at The Pomegranate Theatre. Christmas Market at Hillsborough Arena, Sunday 12:30-4pm. Lots of stalls, plus entertainment & Father Christmas. 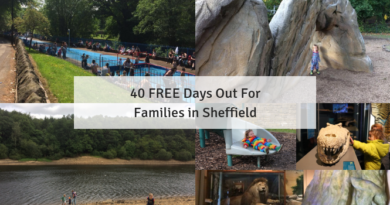 Why not do a family walk at Longshaw Estate? Warm up in the cafe after, and there’s carols on Sunday 2pm-4pm. A little further, but there’s also the Christmas Trail at Rufford Abbey. Find sustainable Christmas gifts and a santas grotto at Netheredge Farmers Market on Sunday, 11-3pm. Christmas Special Open Day at Wortley Forge, 11am-4pm in Barnsley. 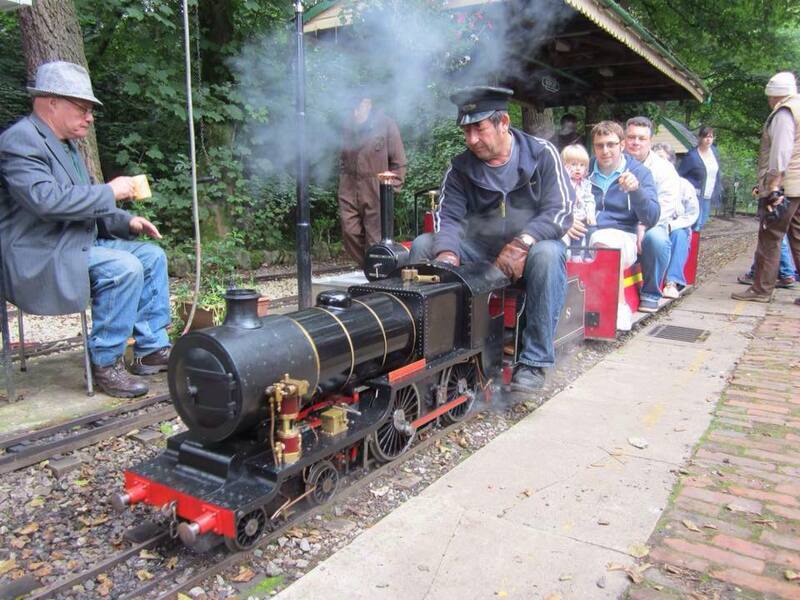 Visit the forge museum, ride miniature trains and meet Santa. 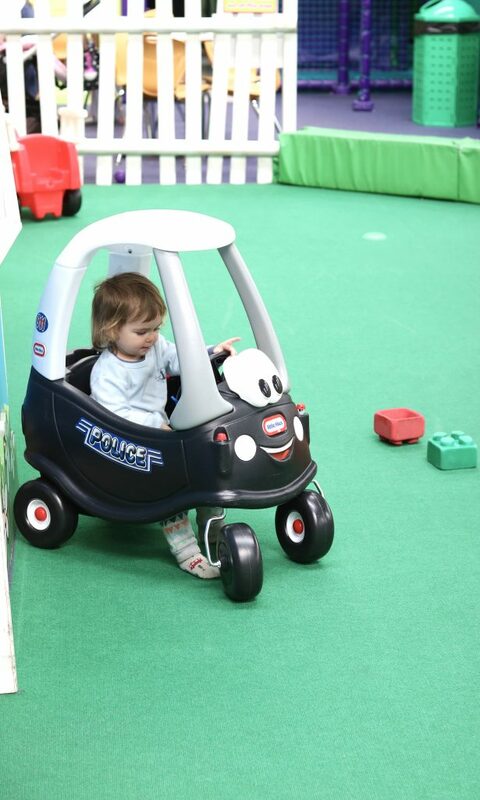 Free car parking, £5 adults, under 5’s free. Train rides free but donations very welcome. S35 7DN. FREE Musical Sculptures family activity at Hepworth Wakefield, Sunday 11am, 12.15pm, 1.45pm, 3pm. Sheffield LUG at Lowedges Brickfest on Sunday, 11-4pm. Awesome LEGO displays, activities and playbricks. Tombola, refreshments and retail. 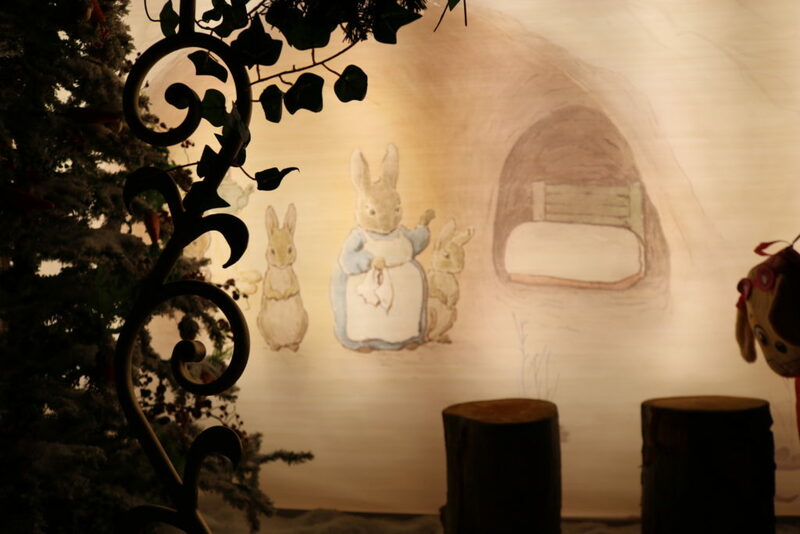 We really liked the grotto at Meadowhall, but for something different there is a Peter Rabbit’s grotto in Manchester. It’s at the Intu Trafford centre. We went last week, read our review here! For trains, Christmas stuff is going on at Barrow Hill on Saturday. But if you can travel, try Eureka! for a sensory museum great for little ones (apparently the grotto is the friendliest one you’ll find), or National Media Museum in Bradford which is free. Or you could go underground at National Coal Mining Museum! FREE Licquorice Santa at Pontefract Museum on Saturday 10am-3pm. Then how about exploring Pontefract Castle, which is FREE? 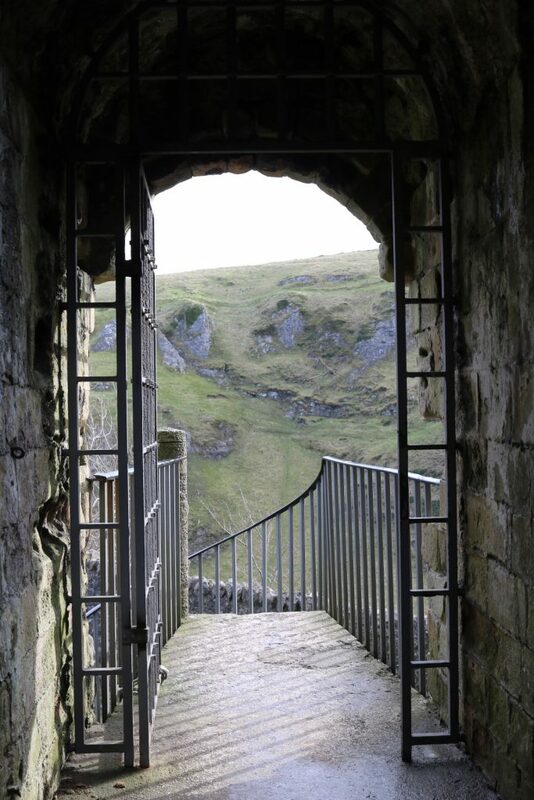 Dungeon tours are FREE thanks to a Lottery Grant this Saturday and Sunday at 1.15pm only (ticket up to 2 people only, additional costs extra). Wrap up realllllly warm and go for a climb up to Mother Cap! 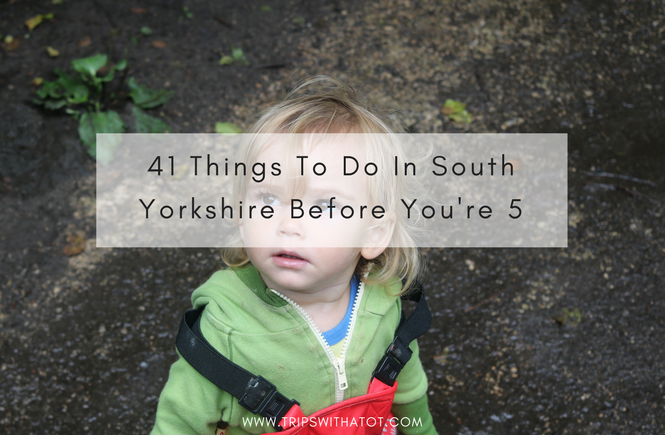 It’s sooo lovely and little ones will love bouldering and rock climbing. Magical Sculptures is FREE at Hepworth Gallery on Sunday, suitable for 2-12 years. 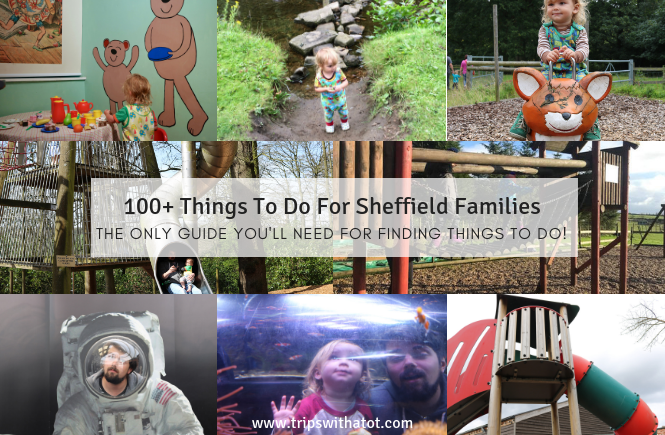 Nearby, Wakefield Museum is FREE and great for little ones with things to do, see and play with… plus a library and cafe in the same building. Not a museum we loved Web Adventure Creepy Crawlies in York. Both indoor & outdoor play; loads to do you could be there all day.